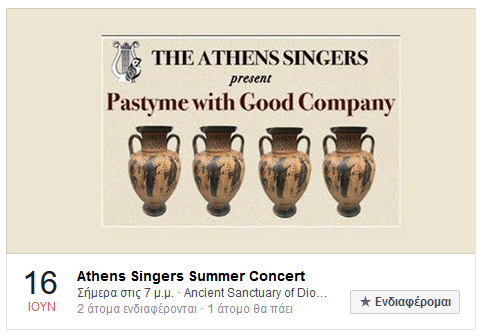 The Athens Singers will perform once again at this ancient site. Music will include 'Pastyme with Good Company' by King Henry VIII, 'Welcome to the Pleasures' by Henry Purcell and several madrigals from the period. An added treat will be a presentation by archeologist E.K. Filiotis about the uncovering of the site. War Museum Amphitheater in Athens. Check the poster below for details. 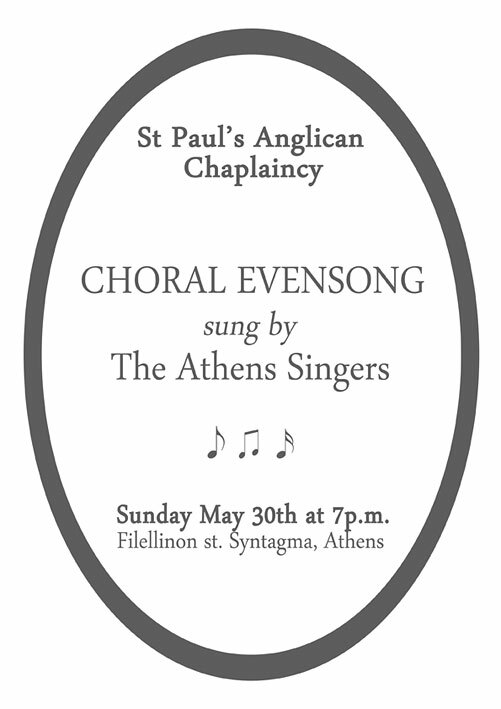 at St. Paul's Anglican Church, Syntagma (Athens). 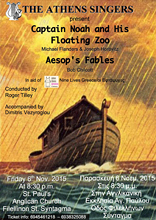 Works: Captain Noah and his floating Zoo, Aesop's Fables. Click on the poster below for the programme and the press release. Check the poster below for all the details! 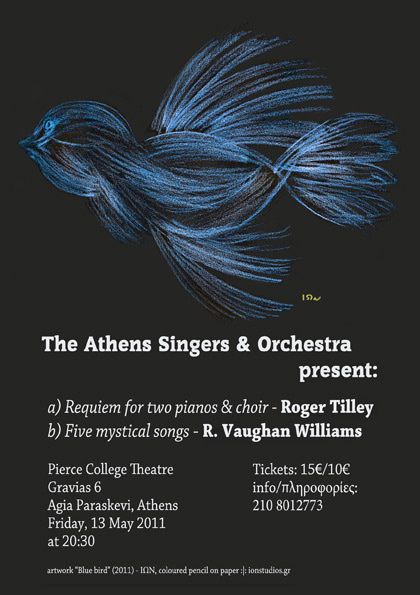 -Roger is directing the new ATHENS SINGERS concert on 31 March 2015. Location: Parnassos Literary Society (amazing!) hall at 20:30. That's 2 minutes walk from metro "Panepistimio" (red line). 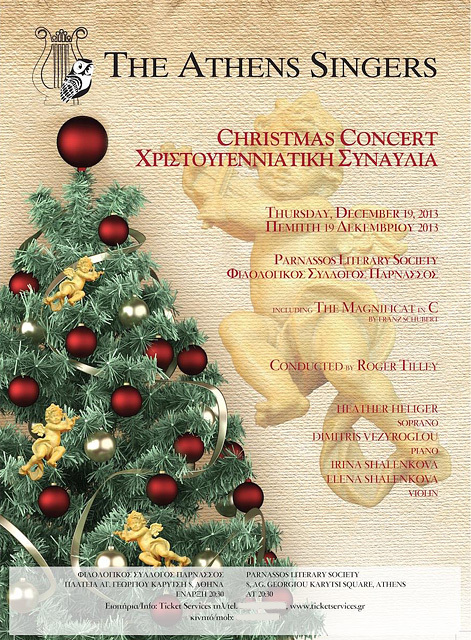 Thursday 18 DEC 2014 in ATHENS (Parnassos Literary Society)! 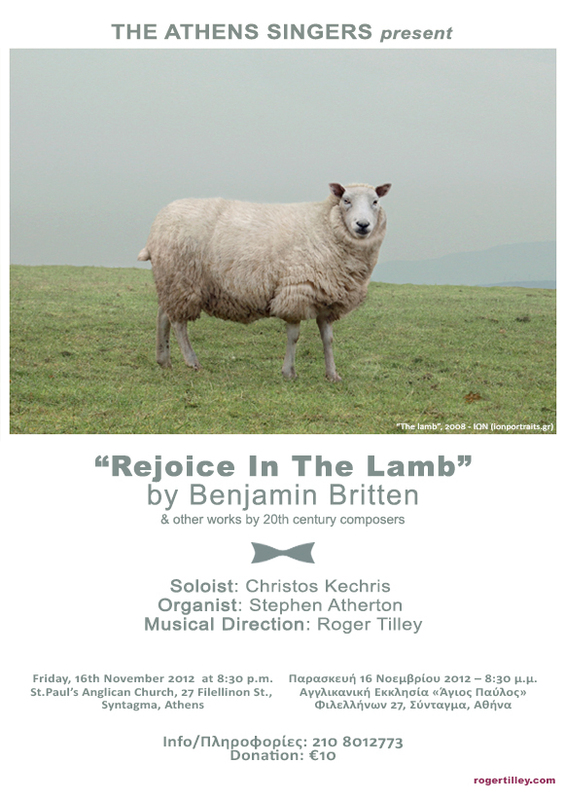 will perform pieces composed by Ralph Vaughan Williams. For videos of the performance visit out YouTUBE channel. 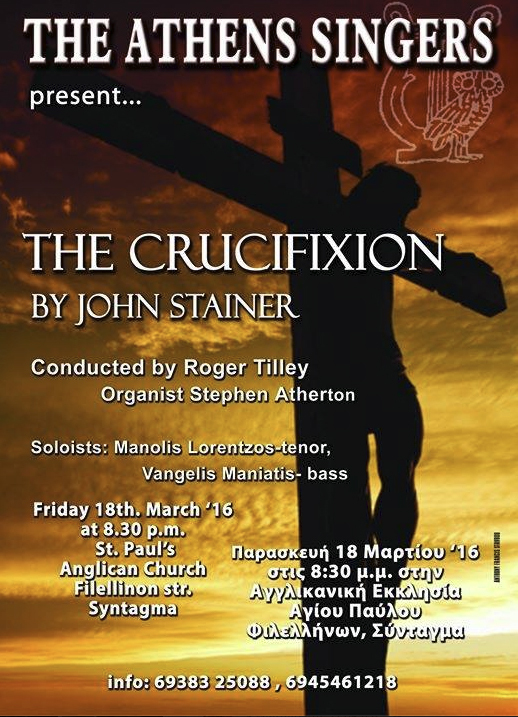 Roger is conducting The Athens Singers latest concert. track 5 from "Kyrie" (2002) cd. A surprising electronic cover of the church hymn! 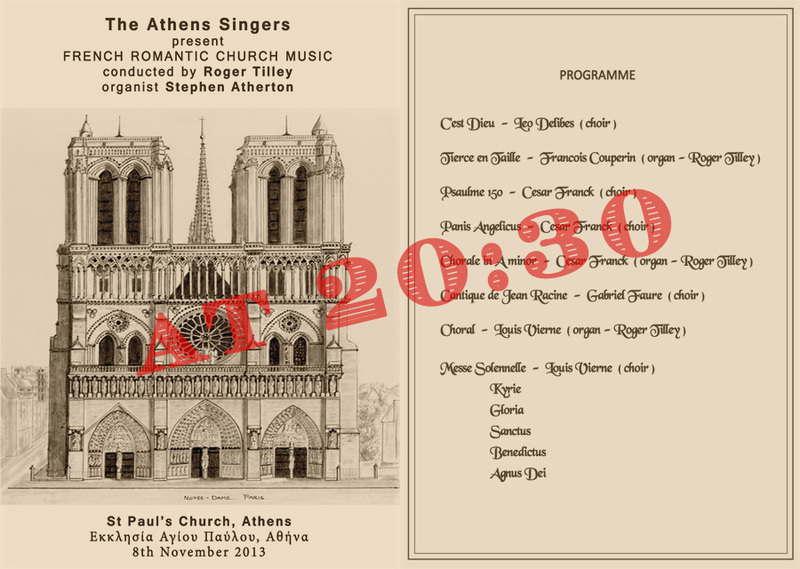 November 2012 concert by The Athens singers! Second book published. OUT NOW! Roger Tilley is the author of the new IB Geography Revision Guide - PAPER 3. 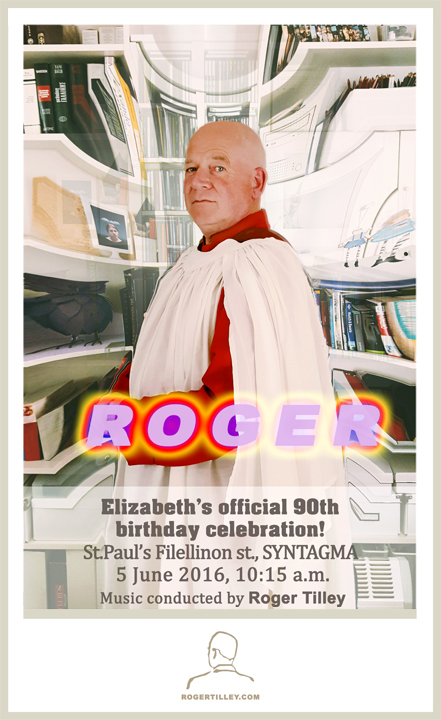 Anglican Church, Athens, on Sunday June 3rd at 10:00am. 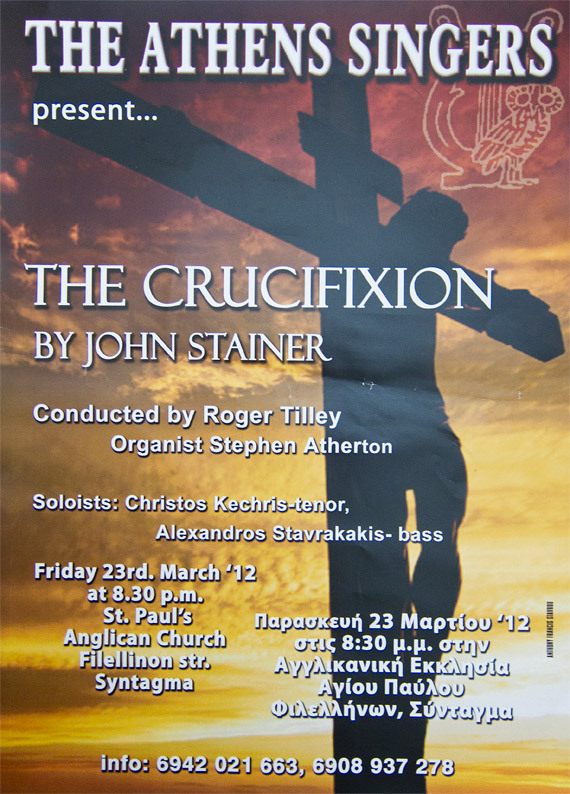 Easter concert 23 March 2012! 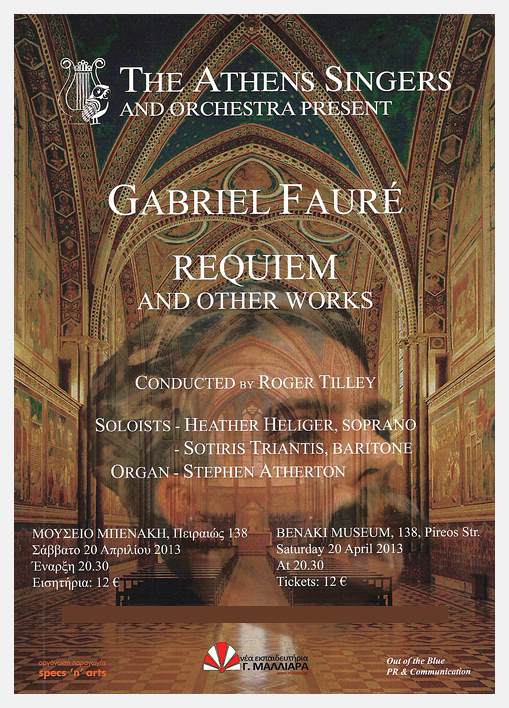 Easter concert 13 MAY 2011! Roger Tilley is the author of the new IB Geography Revision Guide - PAPER 1. 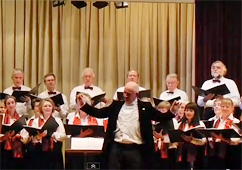 April concert. 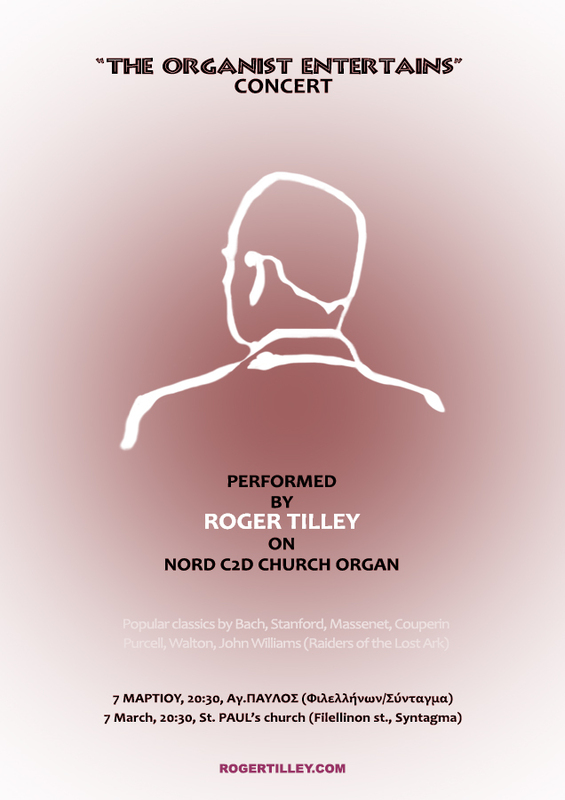 Musical direction: Roger Tilley. 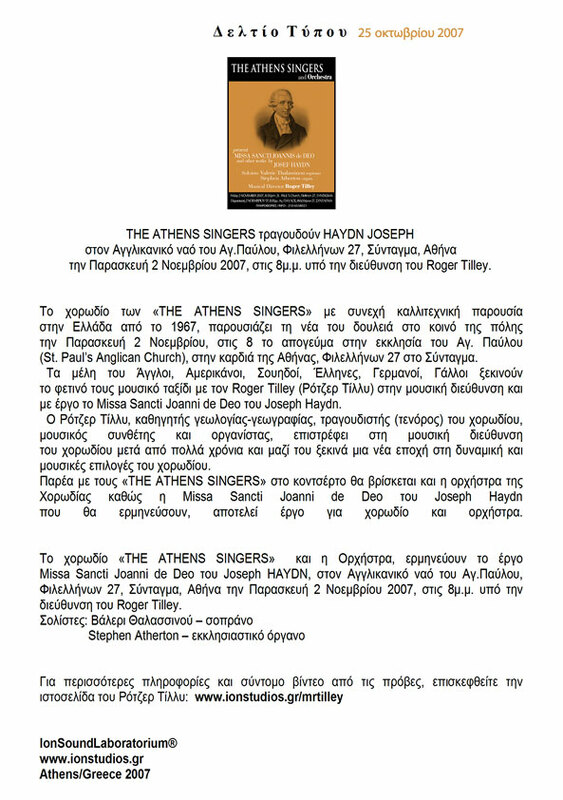 "The Athens Singers" November '09 concert conducted by Roger Tilley. "Dido and Aeneas". Concert was held at Deree college (Athens) in May '08. Athens/Gr. 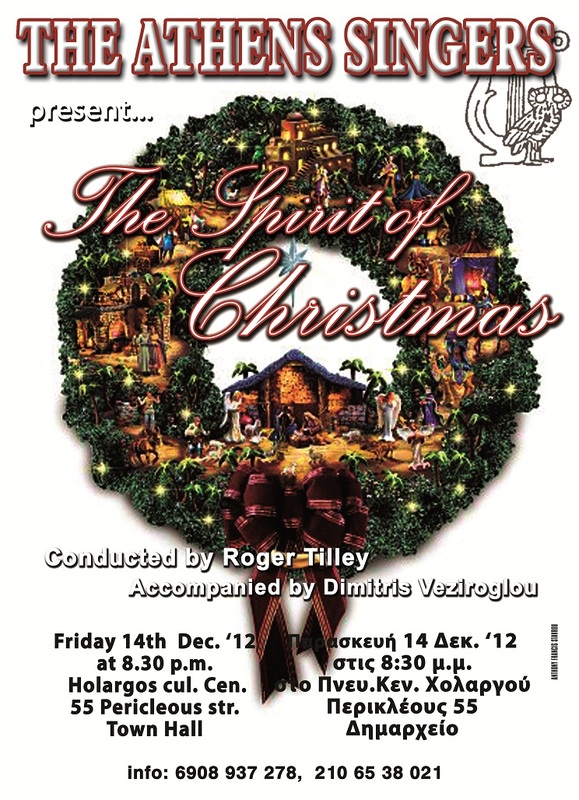 Soloists: Valerie Thalassinos, Heather Heliger, Stavros Nikolaou. Cembalo performed by Dimitris Veziroglou. 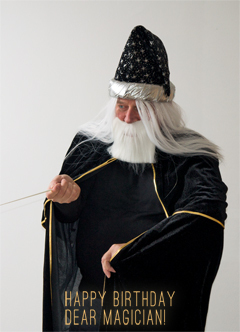 Opera conducted by Roger Tilley. music on the same piano at which it was originally composed 24 years ago! Backstage rehearsal of "The Athens Singers" for the upcoming Haydn concert. από την χορωδία The Athens Singers με τη συνοδεία Εκκλησιαστικού Οργάνου. Η χορωδία "The Athens Singers" πιστή στο Πασχαλινό ραντεβού της παρουσιάζει στον ναό του Αγίου Παύλου τέρμα Φιλελλήνων στο Σύνταγμα (Αθήνα), ένα παραδοσιακό έργο της Αγγλικανικής Εκκλησίας, το ορατόριο "Η Σταύρωση" του συνθέτη John Stainer. Μαζί με την χορωδία τραγουδούν οι σολίστες Χρήστος Κεχρής (τενόρος) και Αλέξανδρος Σταυρακάκης (μπάσος), οι οποίοι έχει ενδιαφέρον να σας πούμε ότι από τις πρόβες μας έχουν ήδη εντυπωσιάσει! Στο Εκκλησιαστικό Όργανο είναι ο Stephen Atherton. Όπως πάντα στην μουσική διεύθυνση βρίσκεται ο Roger Tilley. 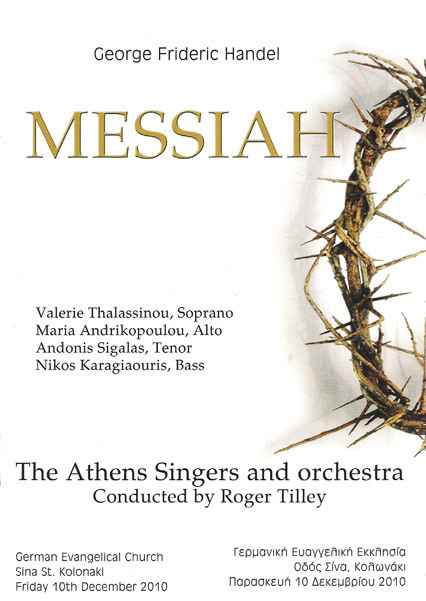 Handel's "Messiah" by The Athens Singers & orchestra at the German Evangelical church of Athens. Valerie Thalassinos, Soprano. Maria Andrikopoulos, Alto. Antonis Sigalas, Tenor. St. Paul's Anglican Chaplaincy, Filellinon st., Syntagma, Athens. 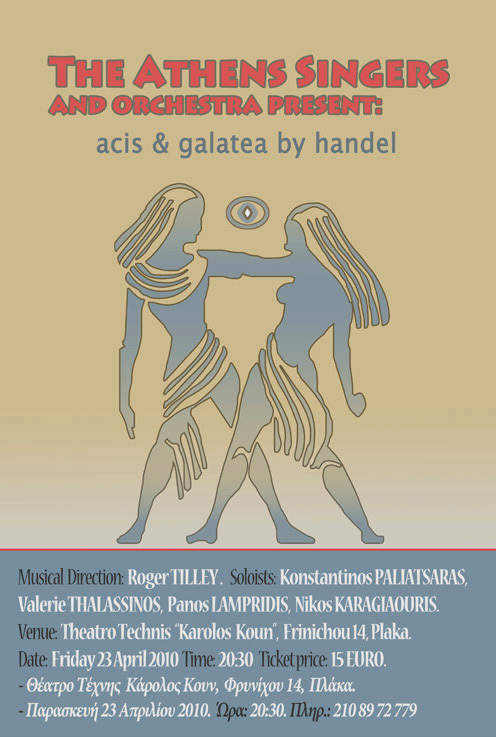 The Athens Singers and orchestra present the opera "ACIS & GALATEA" by Handel at the "Theatro Technis Karolos Koun", Frinichou 14, Plaka, Athens (metro: Akropolis)on Friday April 23rd, 2010 at 20:30. 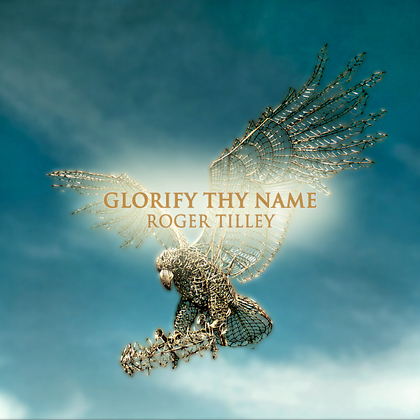 Musical Direction: Roger Tilley. 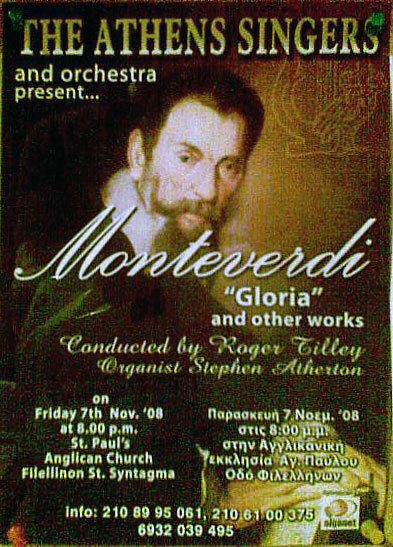 Soloists: Konstantinos Paliatsaras, Valerie Thalassinos, Panos Lambridis, Nikos Karagiaouris. Tickets at the door. For one night only! 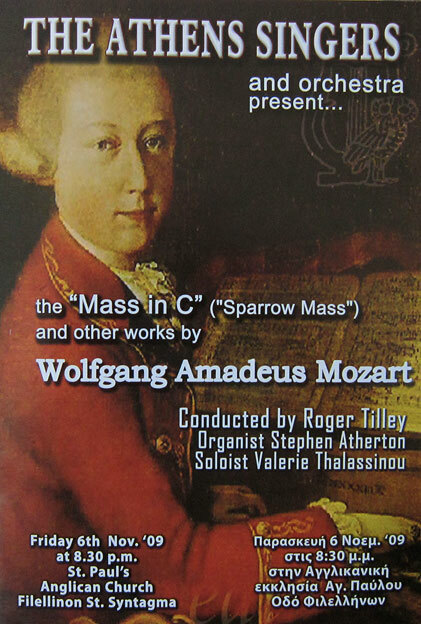 The Athens Singers and orchestra present the "Missa in C" and other works by W.A.Mozart. 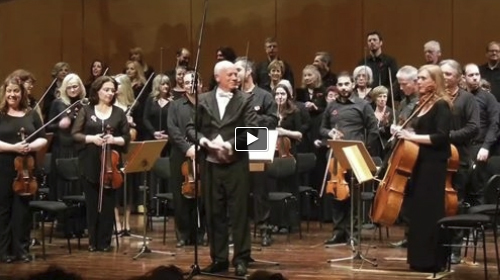 Conducted by Roger Tilley. Organist Stephen Atherton. 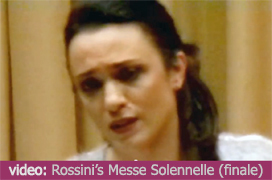 Soloist Valerie Thalassinos. 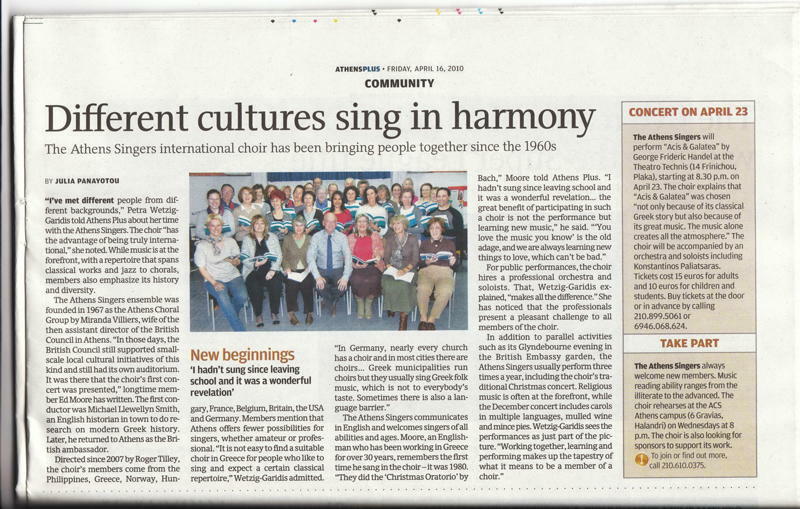 6th November 2009, St. Paul's Anglican Church, Athens/Greece. - "An Evening of Gilbert & Sullivan and the complete Trial by Jury", presented by "The Athens Singers" at Theatro Technis Karolos Koun, Frinichou 14, Plaka (metro: Akropolis) on Friday 15th May 2009 at 20:30. Admission:15Euro. 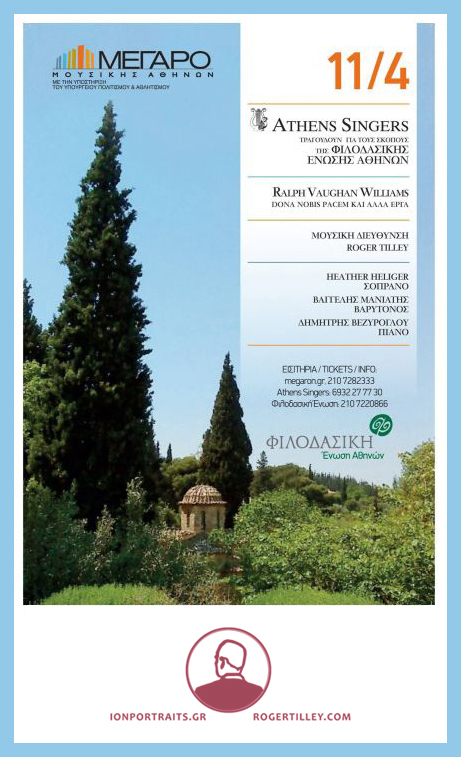 - "An Evening of Gilbert & Sullivan and the complete Trial by Jury", η νέα όπερα από τη χορωδία "The Athens Singers" στο Θέατρο Τέχνης Κάρολος Κουν, Φρυνίχου 14, Πλάκα (μετρό: Ακρόπολη), Παρασκευή 15 Μαϊου 2009 στις 20:30. Είσοδος:15 Ευρώ. 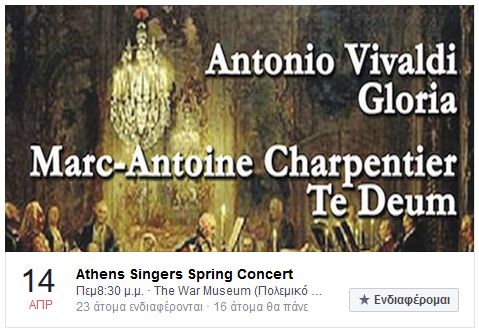 "The Athens Singers" and Orchestra will perform "Gloria" & other works on Friday 7th. 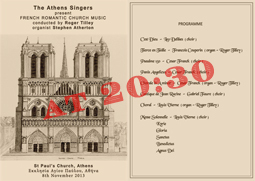 November '08 at 20:00, St.Paul's Anglican church, Filellinon St.,Syntagma/Athens. Η χορωδία "The Athens Singers"και Oρχήστρα θα ερμηνεύσουν τη "Gloria" και άλλα έργα την Παρασκευή 7 Νοεμβρίου '08 στην Αγγλικανική εκκλησία του Αγ. Παύλου, οδός Φιλελλήνων στο Σύνταγμα, Αθήνα. Ώρα 20:00. Οργανίστας: Stephen Atherton. Μουσική διεύθυνση: Roger Tilley. 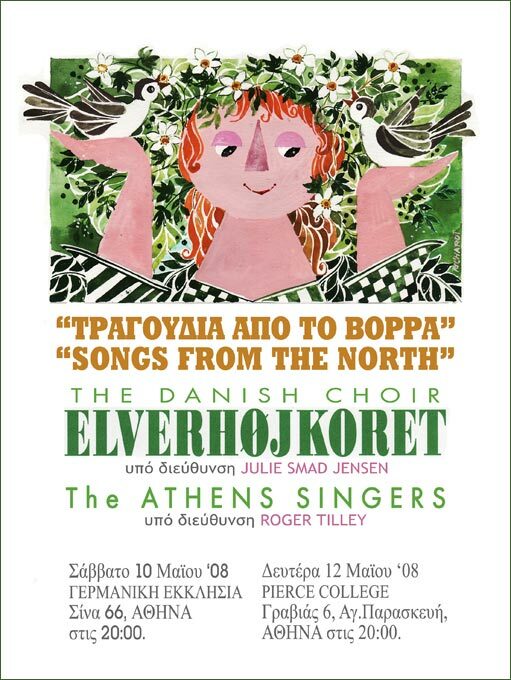 "The Athens Singers" will perform two scenes from "Dido & Aeneas" in a joint concert with the Danish choir, "Elverhoj Koret". Dates and location here. Henry Purcell/"Dido & Aeneas" - an opera in three acts. 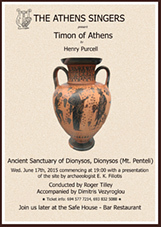 Enter Dido & Aeneas page for video, photo and details. 2007 at the Holargos Cultural Center, 55 Perikleous st. at 20:45.
του Χολαργού, Περικλέους 55 την Τρίτη 18 Δεκεμβρίου 2007 στις 20:45. Anglican Church, 27 Filelinon st. Syntagma, Athens on Friday November 2nd 2007 at 8pm. 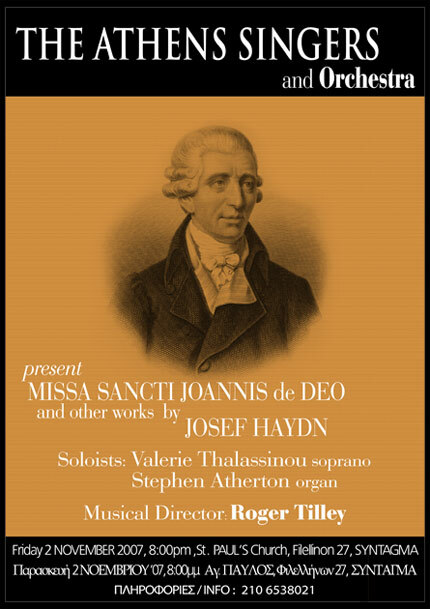 Soloists: Valerie Thalassinos (soprano), Stephen Atherton (organ). 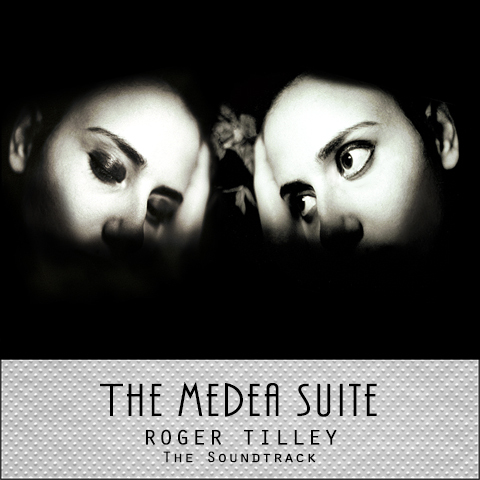 Musical Director : Roger Tilley. 2 Νοεμβρίου 2007 στις 20:00. Σολίστες: Βάλερι Θαλασσινού, Stephen Atherton (όργανο).